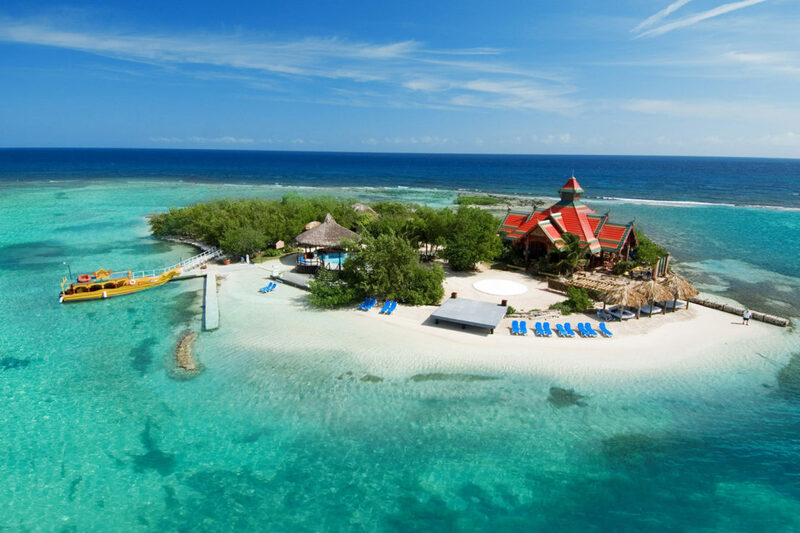 Negril, known for crystal clear coves and its famous 7 Mile Beach, is situated about 81km from Donald Sangster International Airport in Montego Bay. Most tourists coming from Miami or New York, try to fly directly to Montego Bay. 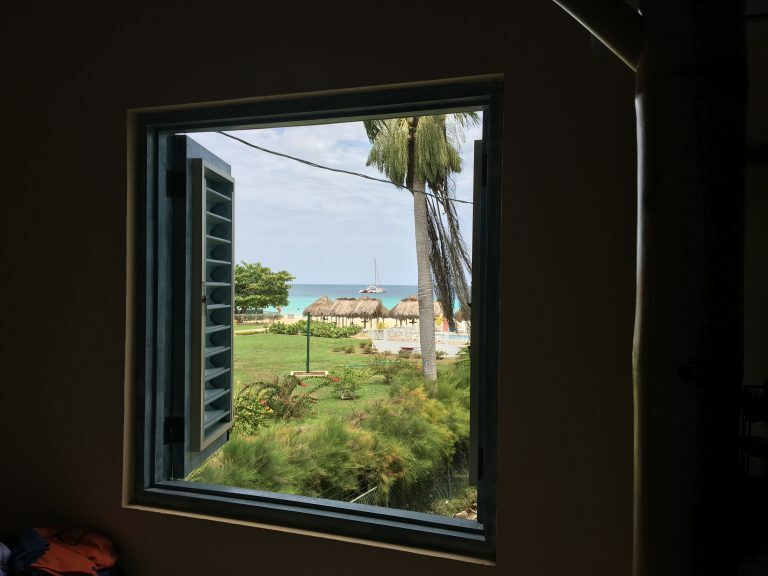 The easiest way to get to Negril from the airport is to take a private shuttle or a pre-arranged taxi to Negril – a scenic drive that usually takes 2 hours, depending on traffic conditions. 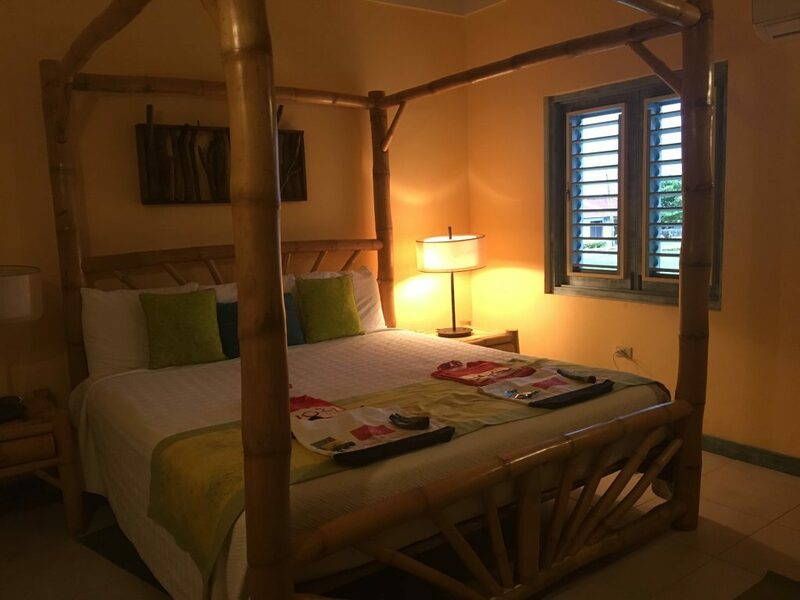 Located off a busy street, it’s a delightful little haven on 7 Mile Beach in Negril. The pictures on their website don’t do it justice. Country Country consists of very cute and rustic cottage style units. Considering that the rooms are somewhat next to each other, you really don’t hear very much. We stayed in Room 544 which had one of the best views of the ocean. There is an adjoining unit so you do hear some noise from the other room if the guests are in their area. I love how all of the rooms have some type of private outdoor porch – the perfect venue for a nightcap. Each unit also has its own little wading bucket to wash sand off your feet. Definitely take advantage of it, as the sand gets everywhere! I enjoyed the food. The breakfast menu may seem simple at first glance but we loved the option of an authentic Jamaican breakfast. Breakfast is included in the room rate which is a nice bonus. We also attended a private dinner party on the right on the beach at Country Country hosted by JOZU For Women. The dinner menu was fantastic and tasty. The only downside to the dining experience is that the service can be very slow, but this is the case for most of Jamaica. Wifi on the property can be a hit or miss, especially in the lower rooms. However, there is a comfortable and roomy area above the restaurant that’s used as a Wifi Lounge. This is a great spot to quickly check in on your emails and get any urgent work done. The most commendable and memorable part of the stay was the staff. They were all delightful and helpful, all the way from the front desk right to the bar. I frequently got hugs from several of them – they enjoy friendly visitors. For the price point, service and intimate ambiance, this is without a doubt the spot I would choose again for my next vacation to Negril.